Disney’s animation studio has been on a roll for the last few years with great films like Wreck-It Ralph, Tangled, and The Princess and the Frog. But Frozen is the best film to come from the studio since Beauty and the Beast. 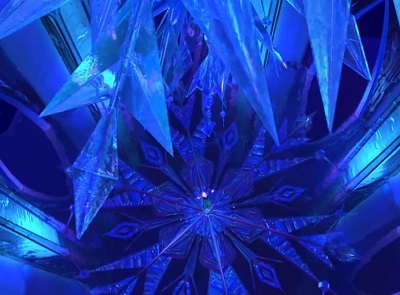 What makes Frozen even better than those other recent films? It takes everything we love about Disney films and delivers it all in a wonderful new package that feels both classic and updated at the same time. Basically, Frozen improves upon just about everything Enchanted tried to do, and it does it all with a mostly straight face. It takes old Disney conventions and turns them on their head in creative ways to make a truly special film. Don’t get me wrong. Enchanted is a good movie. I even wrote about how it improves each time I see it. But it really isn’t as innovative or special as I would like it to be. This comparison of Frozen and Enchanted isn’t going to be like my other Movie Matchups. I won’t try to compare their plots; I will instead discuss how they bent Disney conventions and why Frozen did a much better job. As such, I won’t give my customary summary at the start, but I’ll simply jump into the comparisons. So let’s break the ice and start singing a happy working song as we discover what Frozen did better than Enchanted. Beware because this article is full of spoilers. The main characters are orphans. It makes sense that Disney movies often have main characters with only one or no parents. This makes their backstories less complex to get across and it tightens the group of characters who are important to the story. For example, Aladdin was originally going to have a mother and she was even going to sing a song, but she was ultimately cut from the film to save on screen time and to focus more on Aladdin himself. Enchanted didn’t even try to address this frequently used Disney convention. Neither Giselle nor Prince Edward has a father or a mother. Edward only has an evil step-mother. Frozen, on the other hand, gives sisters Elsa and Anna two loving but overprotective parents who die at sea during the prologue, leaving their daughters with just each other. 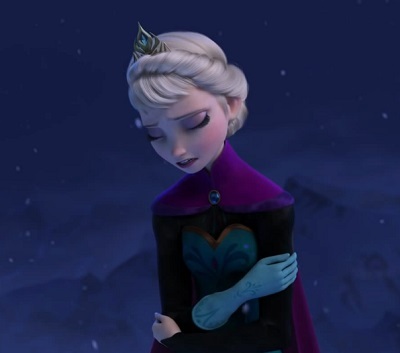 This creates a dramatic dynamic because once the parents are gone the two girls need each other more than ever, but Elsa pushes her sister away because she fears her inability to control her emotions and her ice powers will hurt anyone who comes close to her. By the way, another character, named Kristoff, is a straight-up orphan, but he gets adopted by trolls early in life, and the trolls are such a delightful addition to the film that I’ll give this one a pass. 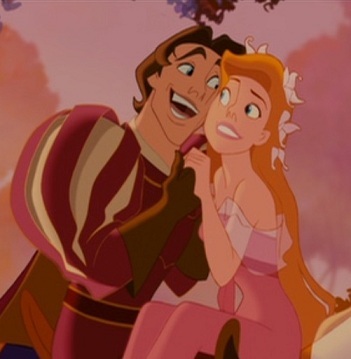 Disney princesses often fall in love at first sight or in an otherwise unbelievably short space of time. 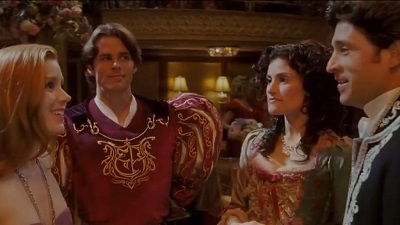 Enchanted pokes fun at that idea when a divorce lawyer named Robert Philip tries to educate Giselle about how the real world works. Unfortunately, this potentially clever idea is forgotten in the end when Giselle decides to stay in the real world with Robert after only knowing him for just a few days. Not much of an improvement over love at first sight in my eyes. Frozen takes a completely different tack with this idea. Sure, Princess Anna decides to marry a prince within a few hours of meeting him. 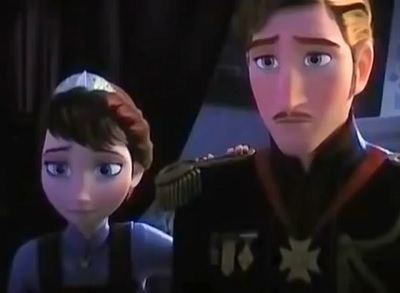 But Elsa and later Kristoff point out what a terrible idea it is to decide on such a big thing so hastily. It’s clear that Anna was so lonely after years of isolation that she was too eager to latch onto anyone who showed her kindness. Also, it turns out that Elsa and Kristoff were right and she doesn’t know the prince’s intentions at all. In the end, she starts to take a shine to Kristoff after getting to know him a little, but the film doesn’t end with them getting married. They’re still just friends, as they should be at that point in their relationship. Queens (and step-mothers) are often just plain evil for no good reason in Disney movies. Can anyone explain what reason Maleficent had for being so bad besides not being invited to a party? Maybe the upcoming film devoted to her will clear that up. Snow White’s step-mother was simply vain, Ursula craved power, Cinderella’s step-mother wanted free slave labor – the list of simple motivations goes on and on. The queen in Enchanted doesn’t satirize or improve upon any of those other femme fatales. She’s just a Maleficent wannabe who shows up long enough to threaten the heroes and then die. Queen Elsa, on the other hand, is wonderfully complex. She’s a tragic hero rather than a villain. She just wants to avoid hurting people. Before they died, her parents encouraged her to hide her freezing powers. So she went through life in constant fear of being discovered and unable to protect people from herself. When her power is exposed to the whole kingdom she immediately runs far away, hoping that she will be left alone. In the end, we learn that she’s not bad at all. She’s a victim of circumstance and fear. Her redemption is so satisfying because we’ve been yearning the whole film to see her be reconciled with her sister. The musical numbers are all punctuated by incredible visuals. Enchanted answers the question, “What would an animated scene look like if it was done in real life?” The results are stunning, especially in the show-stopping number “That’s How You Know.” The “Happy Working Song” is also a comical way to bring something to life that seems completely insane in our world but is completely normal in a cartoon. Despite Enchanted’s efforts, I would definitely argue that Frozen surpassed it in what it accomplished visually. The scenes of Elsa building her snow palace, Olaf the talking snowman dreaming of what summer feels like, and Anna excitedly inviting guests into the palace for the first time in years are all spectacularly brought to life by both music and images. This movie is a feast for the senses. Animals are often intelligent and/or able to communicate with humans in Disney films. Enchanted cleverly had a chipmunk, named Pip, follow Giselle into the real world where he suddenly finds himself unable to speak. So he has to use visual clues to get humans to understand him. He’s actually one of the smartest characters in the whole movie and his speech impediment leads to a lot of funny scenes and misunderstandings. Animals are also unable to talk to humans in Frozen, but that doesn’t mean they lack intelligence. 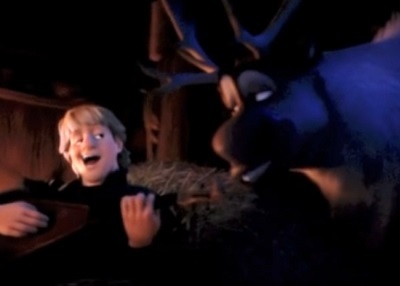 Kristoff spends a lot of time talking with his pet reindeer, Sven. But he does it in a playful way where he gives the animal’s responses in a funny voice to show the audience his own thought process, as well as that of his beast of burden. Even the trolls point out that this is a little weird. In later scenes, though, Sven gets messages across to Kristoff without the benefit of speech or Kristoff making up words for him. In both films, the animals’ lack of communication is smartly handled. You have to suspend your disbelief in Disney movies when characters suddenly break out into song and dance numbers. As I mentioned before, Enchanted did a pretty good job with this. When Giselle starts singing to Robert out of nowhere in front of a bunch of strangers, Robert is naturally embarrassed and tries to get her to stop. But her song inspires so many others to join in that it evolves into the film’s signature musical production. It’s a funny sendup of something cartoons sometimes take for granted. The songs in Frozen, on the other hand, never come out of nowhere. They flow so naturally from dialogue to song and then back and forth within songs that you never feel like the movie has come to a halt for another song. Instead, the songs move the story forward or give further insights into the characters while also heightening the emotions expressed and drawing in the audience. They also enhance the artistry of the film. “Let It Go,” “Fixer Upper,” “In Summer,” “For the First Time in Forever,” and several other songs are absolute joys to listen to and watch unfold on the screen. Not every Disney movie has a love triangle. In fact, sometimes two members of the triangle turn out to be just one, like in the case of Sleeping Beauty. As I noted earlier, Giselle falls in love with Edward at first sight but is then unintentionally wooed by Robert in just a few days. This is supposed to be a witty commentary on quick movie romances, but its message is ultimately undermined by its sloppy payoff. Frozen avoids the pitfalls of the traditional love triangle. It has all the initial elements of a classic triangle, but then it provides two serious twists by having one of the men Anna loves be the villain and then ensuring she doesn’t make the same mistake twice by instantly hooking up with the other man on the rebound. It often just takes the kiss of a handsome prince to heal a princess from whatever ails her. In Enchanted, that’s definitely true. It’s supposed to be a big surprise that Edward’s kiss isn’t what brings Giselle back to life but Robert’s. However, this is just trading one cliché for another. Frozen does what Enchanted wasn’t brave enough to attempt: to have true love come from someone other than a handsome prince. In the case of Frozen, Anna sacrifices herself for her sister and that is the act of true sisterly love that saves them both from their miseries. That was unexpected and brilliant. This climax ties the two sisters together at a critical moment and resolves all of the story’s conflicts in one swift stroke. Enchanted debuted in 2007 when Disney was still working on finding its groove again. It was a pretty good sendup of the clichés that had become so entrenched in Disney’s animated films, but it failed to offer something truly unique and new to replace those clichés. 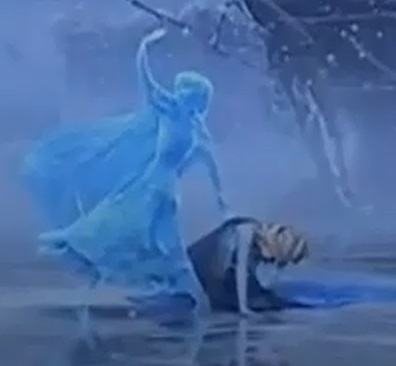 Frozen finally did what Enchanted tried to do. It broke the mold while still honoring all the traditions that had come before. It’s like the Casino Royale of Disney movies. I hope it portends even greater changes in the future. I am extremely optimistic about the future of animation now that Disney is returning to the level of Pixar and DreamWorks Animation. This is the Deja Reviewer wishing you a Happy New Year and bidding you farewell until we meet again. This entry was posted in Movie Matchups and tagged animated films, disney, enchanted, film score, films, frozen, fun, love, movie review, movies, music, parody, relationships, romance, songs, soundtrack. Bookmark the permalink. I totally agree. I didn’t know how to put it in words but I think you really nailed why Frozen worked so well. I read a commentary once about why Maleficent acts out against the entire kingdom; it was something to the effect of the nature of a christening during medieval times and it being a huge social event. It was basically a massive slap in the face for her NOT to be invited, especially since the fairies had been invited. That makes sense. Thanks for answering that question for me. I’m not really a buff on medieval times, so thank you for enlightening me on that subject. Good article. I loved Enchanted, but Frozen is on a whole new level. I even think it’s the best movie of all time, that’s how good it is. My young daughter (she will be 7 in 47 days…just ask her she knows, she’s counting) absolutely loves both of these movies. Which inevitably means that I have seen both of them more times than I can count on two hands. And I completely understand the comparison version of these two movies. But I like to think Enchanted was paving the way for Frozen. In all the ways that you mentioned they both stuck to the familiar fairy tail traits while treading new ground. But what I think Disney has amazingly done is transition the generation that saw The Little Mermaid, Beauty and the Beast, and Aladdin as new releases, into adulthood. And they have invented a creative, up close and personal way to keep themselves relevant and blaze a path that allows “talking points” for their own children. As these movies evolve, they keep the emotion, drama and of course random bursts of song but they add a sense of conscious awareness and realistic accountability that we long for but was missing in the movie predecessors. I just want to say thank you to all those involved with Enchanted which allowed us to have Frozen and some unexpectedly real conversations about a “children’s” movie. I love it. I’m one of those kids who grew up with those amazing Disney films from 1989 on, and I definitely agree with you. It really is amazing how Disney managed to turn something old into something both new and nostalgic. It’s a lot like what George Lucas pulled off with his original Star Wars trilogy where he put old myths and storytelling tropes into alien environments, and suddenly they felt fresh and unique. Nah Enchanted is better than Frozen. The characters in Frozen were willfully obtuse at times and there are way more plot holes in it that bothered me.